The Oral-B SmartSeries 7000 toothbrush provides six brushing modes that include different pressure levels and speeds. The app's auto-timer begins as soon as you start brushing. You can customize your brushing with the focus care tool by adding some extra time to a dedicated area. While the SmartSeries 7000 can detect pressure--especially too much of it--the toothbrush cannot detect whether you've completed brushing each area. The Oral-B app's history sync feature is not intuitive--at least, not when you first start using it. Depending on the sensitivity of your taste buds, you might notice a subtle after-taste from the brush itself. Give your teeth-brushing drudgery a bit of pizzazz with the SmartSeries 7000 Bluetooth-enabled brush and its complementary app: The free Oral-B app helps you stay on top of your brushing routines, and you can choose from six different brushing modes. The toothbrush contains pressure sensors, and you receive alerts via the app when you press too hard on your chompers. As you go through the motions, let the app’s timer take care of the required brushing time. At the same time, you can view the on-screen entertainment--news headlines, weather reports, fun trivia, and more. The package includes four refill heads, a charging station with head storage, a travel case, and a charger travel pouch. The brush modes are amazing…the brush does change tempo to suit the various features. For those who have sensitive gums like I do this will come in handy…Your teeth will feel like you just came form the dentist…no joke. After you stop brushing, the app asks if you've cleaned your tongue, flossed and rinsed in three separate pages. To complete the session, you'll have to tap Completed or Skipped on each screen. This was easier said than done. Like most people, my fingers got wet during brushing and rinsing, rendering my digits unreadable by my smartphone’s display. The app is, surprisingly enough, a joy to use: It's pretty, well-designed, and against all odds, pretty damn fun to use. [The toothbrush] feels slightly clunky…its motor is quite loud, and its body is a little larger than you'd expect. 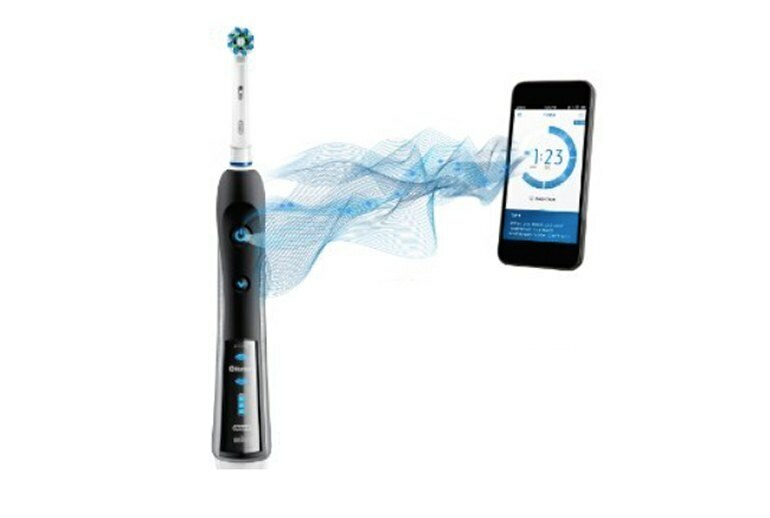 The brush doesn't have the smarts to know if you are in fact brushing in the prescribed area, but it does have a sensitivity sensor: Brush too hard and the app alerts you to reduce pressure. And if your phone isn't nearby, the brush will store up to 20 brushing sessions so you can sync them to the app when paired again. The 7000 is about the same size and weight as any other fancy electric toothbrush (if a bit heftier than [Kolibree] its crowdfunded rival), and is compatible with any ol' Oral-B brush heads you may have in your medicine cabinet. Should you stop brushing before the allotted time the app shows you a frowny face, but if you do complete the full time you get a smiley face. Details of each session are recorded, including a record of how often you press too hard while brushing, so you can track how well you brush. [The toothbrush] relies a lot on self-reporting. You can spend the entire two minutes on one area, even as the app tells you to move on. And flossing? I was pressed for time getting to my dentist appointment, so I told the app I flossed that morning -- even though I didn't. 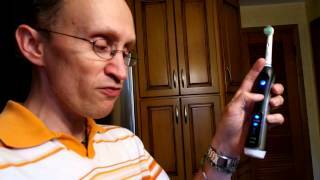 Oral-B’s Bluetooth toothbrush has a lot more to recommend it than I’d have anticipated, before trying one out. The news and weather feed resident within an app that also provides timer and brush guide information is a clever match-up that turns what could be a chore into something far less arduous. Considering that this is the top of the line Oral-B toothbrush, and it offers so much more than the top of the line Philips Sonicare, the choice seems pretty clear. 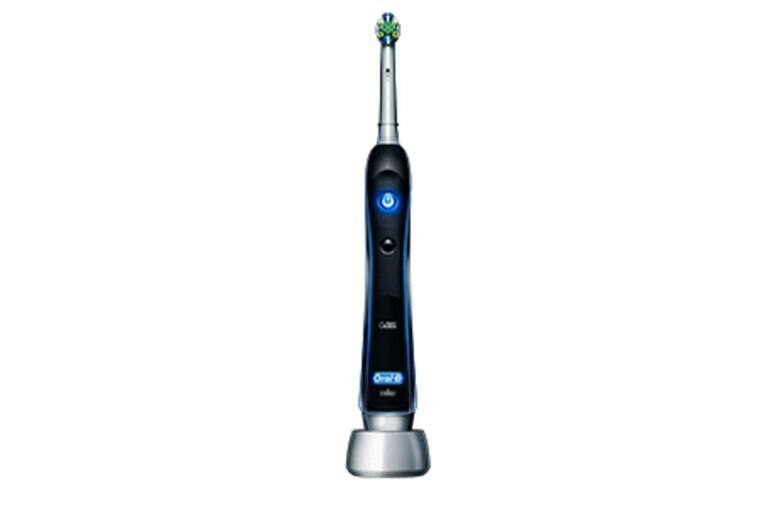 If you want to take your cleaning regimen to the next level, the Oral-B Black 7000 is a great solution. 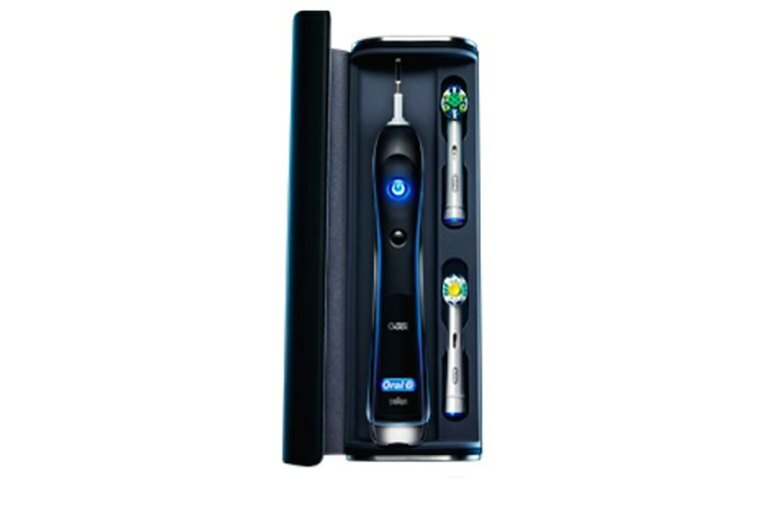 The New @OralB Black 7000 Toothbrush Gives You Everything You Need!